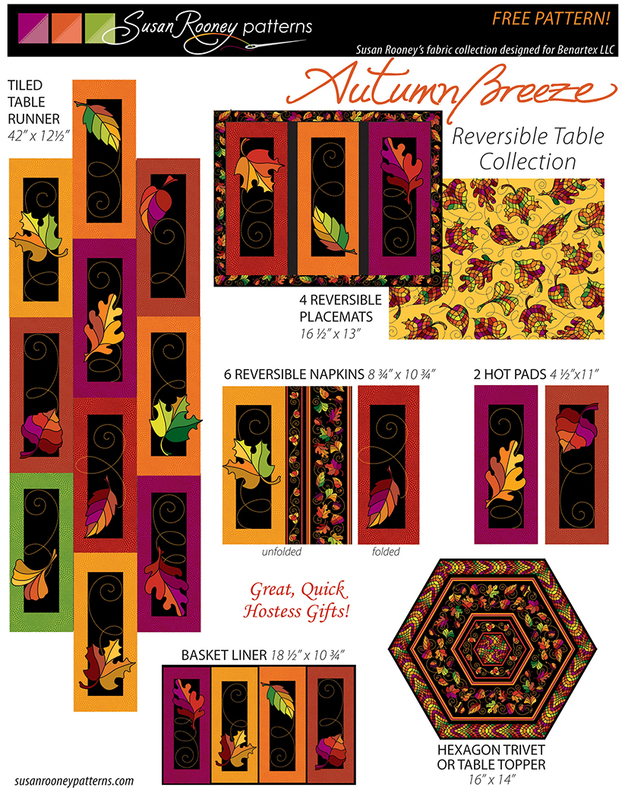 Autumn never looked so beautiful, with rich swirling leaves and a wonderful bright color palette from Susan Rooney. 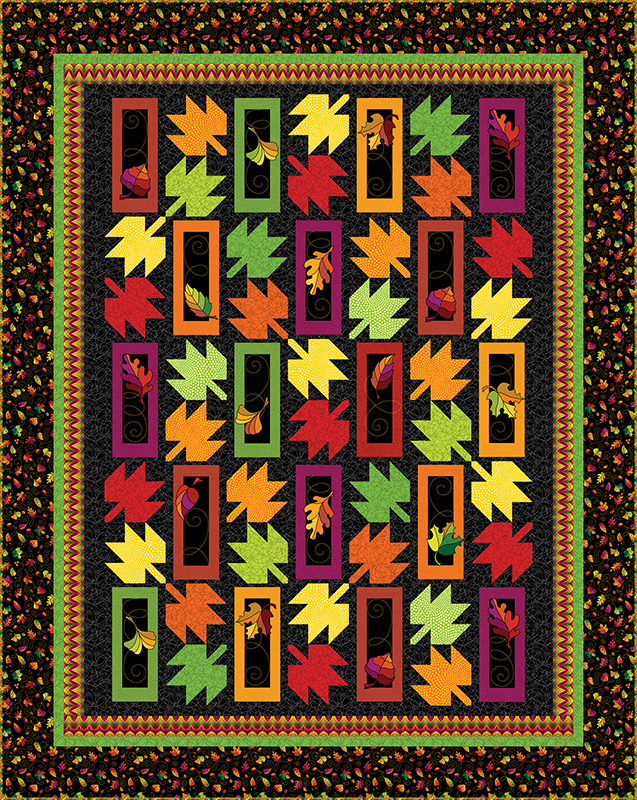 This collection has a special treat - an Autumn Breeze panel with rectangular frames and a double border. 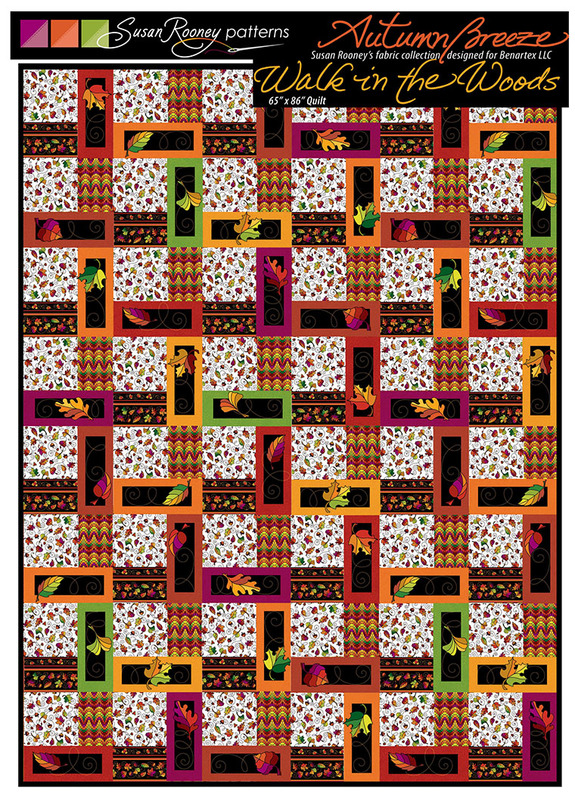 The unusual layout provides multiple design options - four rectangles make a stunning placemat; six rectangles a table runner, or… cut them out and use for quilt blocks. Fun, easy and fabulous to look at. Be sure to order the accompanying mini-prints - they’ll be perfect for your colorwall.